My 5 cats love love love this!! 6 stars!! Callie & Jack are big fans . 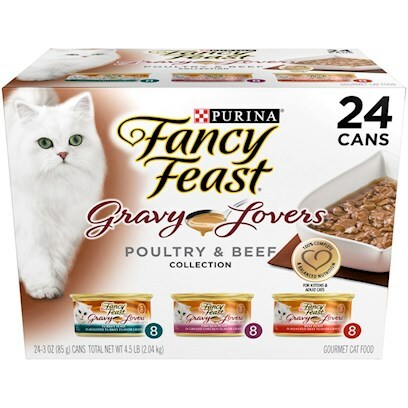 Best Fancy Feast Ever according to my Kittens. Sasha love Fancy Feast ONLY!!! For My Kitty-when needs something special. Gravy Lovers My Cat's Favorite! Everyday is Thankgiving for my sweeties!